Dr. Roberts was born on 7th May 1868 in Riverton of USA. Homoeopathic Recorder was acquired by the International Hahnemannian Association in the year 1927. Dr. Roberts was selected to be its Editor-in-Chief until 1934. In this chapter Dr.H.A Roberts explains some common obstacles that interfere the smooth curative process of homoepathic indicated remedies. We are told that light waves travel in a certain direction until they meet some obstacle, when they are deflected at an angle proportionate to the angle of interference. The science of optics we can measure angles of deflection of light and the measurements necessary to correct vision or to utilize the light waves in some practical manner. In other words, there is a definite measurable approach through known laws in optics. 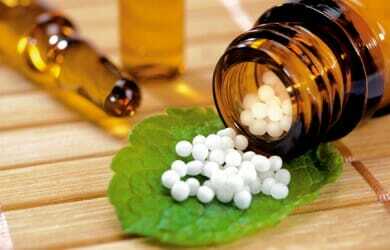 In the case of homoeopathy we have NO such instrument to measure the obstacles to the curative waves of our remedies. 1.why are our results not uniformly satisfactory? One obvious reason is the pathological condition of the patient. Mechanical obstruction by foreign body gives rise to reflex symptoms of exceedingly troublesome nature. Of course the remedy does not and cannot cure such symptoms so long as the causative factor remains. Eg: Persistent earaches or coryzas in children who have inserted small objects into the ear or nose. Psychic trauma, emotional stresses of varying degrees are factors homoeopathic prescribers, should understand during the case taking of patient. frequently the patient does not DISCLOSE his private affairs to physician and keeps this himself,he may be so used to bearing his own burdens that he does not recognize them as having any weight in the case,he may (consciously or unconsciously) distort the picture of his own mental stress,if he reveals the mental stress to physician , the whole picture may help the physician in analyzing the case. as long as these strains persist under the surface, one cannot expect cure. Over-anxiety, worry, constant financial stress, the tension of maintaining speed in one’s work, peculiar industrial demandsall these and many like stresses have developed unusual influences upon our patients during the past few years and have correspondingly lowered the percentage of possible cures. Physician has to fight the increasing use of sedatives, bromides, narcotics, analgesics-all forms of drugging which offer the patient some retreat from the pressure of the modern age or some relief from pain, either mental or physical. Cosmetics may prove the obstacle to cure just as surely as narcotics or coal-tar derivatives. Many cosmetic preparations contain substances advertised to suppress perspiration, eruptions, or to remove hair growth. Eg We have seen a case of progressive paralysis in a young woman which she herself traced to the use of a depilatory(hair removing) preparation. Eg: An eminent contemporary prescriber reported a case of a persistent Coccus cacti cough which refused to yield-until he ordered the young woman to stop the use of her lipstick, when the cough ceased. Homoeopathic physician must never neglect consideration of such a deflection of the current. The so-called SOFT DRINKS follow closely the record of home drugging in distorting the case. THE UNBALANCED DIETS as a part of modern craze for slender figures, here the patient who suffers willingly from malnutrition can be brought back to normal only if his co-operation. The question of proper exercise would seem to lie within the province of the physician. Eg: We recall one case, the patient, a woman past middle life, was instructed to exercise in fresh air and sunshine, asked to cultivate wild flowers. we were greeted with fresh wild flowers every call we made, but she did not seem to gain in strength nor did her color improve. Some time later we found that her husband faithfully went to the fields and gathered fresh flowers for the vases, while she rested in the home. There are some patients who cannot take strenuous exercise because of pathological obstacles. Another obstacle to cure is the physician’s judgment may be overbalanced in favor of the patient’s favourite symptom. But frequent repetition of a troublesome symptom may so hide the true picture of the case and leads to an incorrect remedy selection. The average homoeopathic physician usually memorizing a brief outline of many polychrests remedies only by keynotes. If these keynotes are used as a reference to materia medica study they serve well, but they are very dangerous for a basis in prescribing. If he prescribes solely on the keynote he may and often does, remove the conspicuous symptoms; but this may serve only as an obstacle to cure by deflecting the current of symptomatology and thus distorting the picture of the patient himself. how carefully did the homoeopathic pharmacist identify the source of his supply? Was the original supply fresh and in good condition? With what degree of thoroughness did the provers follow instructions? or in discrepancies in recording the provings, then we cannot but expect that the current of cure will be deflected. Whether the provings were made under proper control. How many entered into the proving? How accurately was the substance, the origin of the potency, labeled? But an even more important problem is the weighing of symptoms of the proving itself. Hahnemann gave us very clear directions for making provings, and instructed us that in every case the usual habits and diet of the prover remain at ordinary level during the proving. Finally, when the physician knows in each case the obstacles in the way of recovery, and how to remove them, he is prepared to act thoroughly, and to the purpose, as a true master of the art of healing.